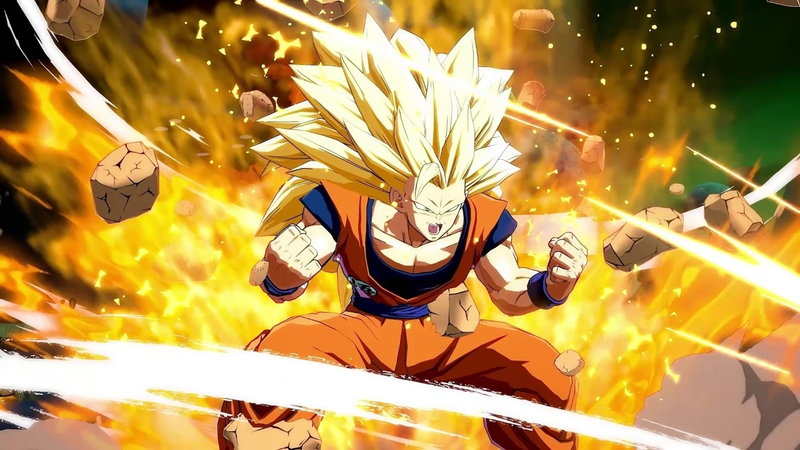 Evo 2018 will be home to a number of heated rivalries and underdogs looking to break out as top level competitors, but it’ll also feature the biggest Dragon Ball FighterZ tournament since the game released in January. As one of the youngest games at the event, the field of DBZ competitors and viable strategies for success remains wide-open. Then there’s Super Smash Bros. Melee, the oldest game at the tournament, but still one of the most exciting to watch as four of its most veteran players vye once again for the annual title. I’m not a big fighting game connoisseur, but despite that Evo is probably my favorite competitive gaming event because of how easy it is to sit down, watch and admire what’s going on. Two players on either side of the screen try to beat the crap out of each other until one of them goes flying off the screen or hits the ground and doesn’t get back up. Below you’ll find when and where to watch all of the major tournaments at Evo 2018 as well as other notable esports events taking place this weekend. All times are Eastern. Street Fighter V: Pools on Saturday at 3:00pm followed by the semifinals at 7:00pm. Finals on Sunday beginning at 10:30pm. Tekken 7: Pools on Saturday at 7:00pm followed by the semifinals at 11:00pm. Finals on Sunday beginning at 1:30pm. Dragon Ball FighterZ: Pools on Saturday at 3:00pm followed by the semifinals at 7:00pm. Finals on Sunday beginning at 7:00pm. Injustice 2: Finals at 3:00pm on Saturday. BlazBlue Tag Battle: Finals at 7:00pm on Saturday. Guilty Gear Xrd: Rev 2: Quarter finals on Saturday at 7:00pm followed by the semifinals at 9:00pm. Finals on Sunday beginning at 11:00am. Smash Bros. Melee: Pools on Saturday at 11:00am followed by the semifinals at 3:00pm. Finals on Sunday at 1:30pm. Smash Bros. Wii U: Pools on Saturday at 3:00pm followed by the semifinals at 7:00pm and finals at 11:00pm. All of the finals will be streamed on Evo’s main Twitch channel. You can find a full list of which channels earlier matches will be streamed here. StarCraft II has its second big global competition of the year this weekend in South Korea. At stake is a roughly $100,000 prize pool and the WCS points crucial for placement in the finalist bracket at Blizzcon. The quarterfinals begin Saturday at 2:00am with the grand finals slated for Sunday morning at 5:00am. The event can be streamed live, or watched as a VOD, here. Competitive Fortnite, having now appeared to have found its footing, returns for the fourth week of Summer Skirmish Friday night at 5:00pm and on Saturday at 1:00pm. Once again there’s over $500,000 on the line and sure to be plenty of unexpected mayhem. If it’s anything near as good as last week’s dramatic finish, when duos team Williams “Zayt” Aubin and SKT Saf clinched a dramatic win, it shouldn’t disappoint. It’ll all be streamed here. Team Liquid and 100 Thieves managed to edge into the top of the table after last week’s victories with only a handful of matches left before the end of the 2018 summer split. Matches start on Saturday at 5:00pm with the two going head-to-head in what’s sure to be a lively series. Then on Sunday the action kicks off with Team Liquid vs. FlyQuest at 3:00pm. All of the matches will be streamed on Twitch. China’s first IEM CS:GO tournament is underway with $250,000 on the line. Only four teams remain, the first two of which, NRG Esports and Gambit Esports, will meet Saturday at midnight in the semifinals. The grand finals, meanwhile, will begin on Sunday night at 11:00pm. The event can be watched live or on rebroadcast here. Phase 2 of the HGC Copa América wraps up this weekend across North and South America. One more day of group play beginning at 10:00pm Friday night will decide who faces each other in the finals on Saturday at 9:00pm, with Ball Breaker and Thunder Predator currently leading the charge in the North Region. In the South Region the remaining matches start at 7:00pm Friday night with the finals slated for Saturday at 5:00pm. Those games can be streamed here.